28.02.2015. Edinburgh, Scotland. 6 Nations International rugby Championship. Scotland versus Italy. 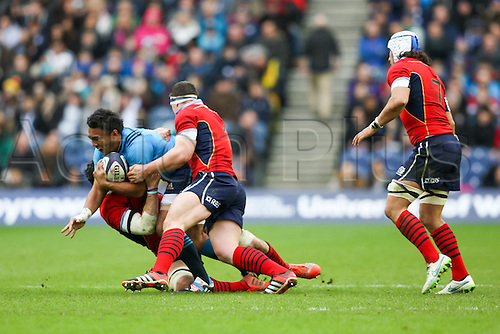 Scotland stop a charge by Italy's Kelly Haimona.